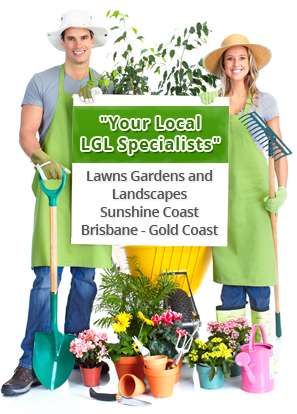 Lawn grubs are a common problem in South East Queensland during the period from November to May, more so to couch lawns rather than ‘Sir Walter’ lawns, they are easily treatable if required, early detection and prevention is the simplest way. There are two main types of lawn grubs to look out for. They are like a caterpillar, usually brown to dull grey, with black stripes on their body, size from 10mm to 30mm long, they are mostly active at night, feeding on the leaf blades of your lawn. They can devastate an entire lawn in 2 – 3 nights. These are commonly confused with cut worm, however both are treated the same and look very similar. They are transparent, but you can see the green materials they are eating so they can appear greenish. They are smaller than the army worm in size, about 10mm – 25mm, they are also active at night. The adult moth will lay eggs in flight; hatching should take place in 5-7 days time. Patches of brown or thinning turf – may suggest there is grubs present, however you need to use one of the methods below to be sure. A visual inspection of the leaf blade can be an effective method, you will actually see holes or part of the leaf missing like chew marks, in bad infestations there will be very little or no leaf at all to see. Use a hose to flood an area, they will come crawling out to the leaf tips, do this in a healthy part of the lawn near infected patches as they prefer the greenest areas. Try pouring a bucket of soapy water over your lawn & look for them. Check under the eaves of your house for furry brown patches these are moth eggs waiting to hatch. Try parting the leaf blades and look for an accumulation of fresh small green pellets of excrement, these are their droppings. If there are orange / black wasps “The Ike Newman Wasp” (Leptobatopsis Indica) flying over your lawn, this will usually indicate that there are grubs present, as the wasp is looking for a host to lay its eggs. Once you have determined that the grubs are still present, treating them will depend upon how bad the damage is. If you have a new lawn you must spray to control them, lawn grubs have the ability to severely damage new lawns. Spray, spread or hose your lawn with an insecticide, there are various types, Must follow label instructions. Now it is important to break the life cycle of the lawn grub by respraying in 7 – 10 days. If your testing has not produced any visual signs of lawn grub they in fact may have moved on to greener pastures, cocooned or reached moth stage, there for treatment will have no effect. If your lawn was damaged by grubs you can fertilize the patches lightly to aid the recovery. See our web for more info. Always spray in the evenings, the chemical you are using will breakdown in sunlight within 2 hours of application, which will be before the lawn grubs have a chance to come in contact with the chemical. Only spray if there is evidence of lawn grubs present. Only spray when protecting a new lawn or when they are in large damaging numbers. Respray your lawn in 7 -10 days to help break the lifecycle. This is the best way to manage lawn grubs. Over fertilized lawns are prone to frequent attacks so fertilize your lawn correctly. Avoid fertilizing during summer months (Jan-Feb); fertilize for growth not a deep green colour. Keep the eaves around the home free from moth’s eggs, remove with a broom or mop. Remember insecticides can kill lawn grubs and all other natural predators, the lawn grub will recover first, this may cause you to spray until nature (winter or extended cold weather) takes over again, there for only spray if necessary. Outdoor lights & street lights with lush lawns within close proximity will attract the moths, hence lawn grubs, and therefore will be a likely starting point.